With the arrival of cooler days, the indulgent appeal of cashmere is back on our style agenda. Long considered the epitome of luxury, our love of cashmere signals a revival of the investment piece. 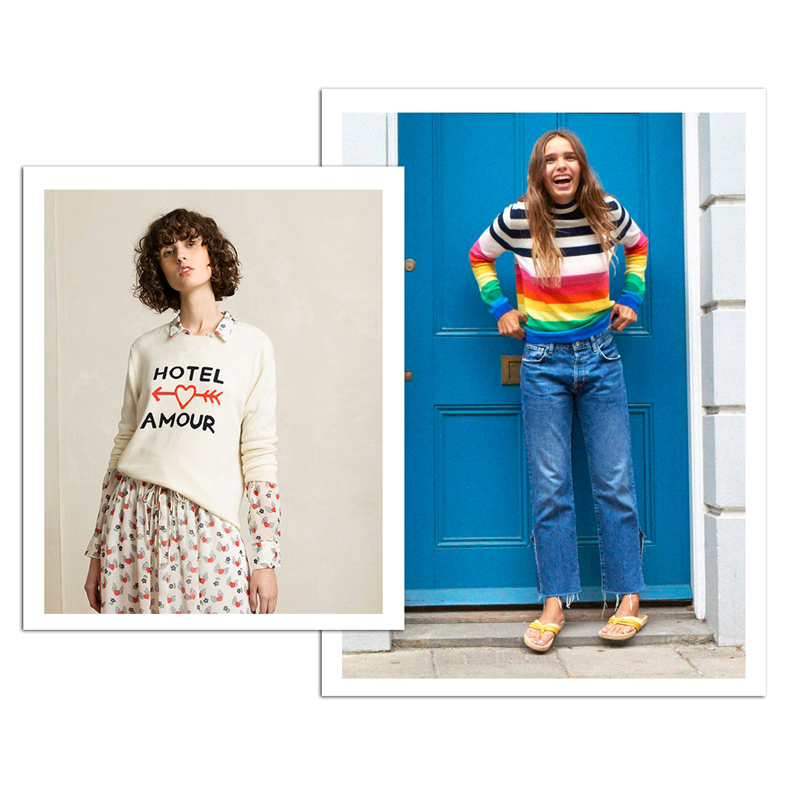 Whether it's classic cardigans, sweaters and loungewear, or off-beat iterations with playful slogans and motifs; these wardrobe icons stand up to passing trends with their treasure-forever appeal. According to our Boutique Buyers, these are the looks you'll want to buy now, wear always. For an instant injection of luxe, our Boutique Buyers look for tonal shades of grey, beige and cream. A pared back colour palette allows for endless versatility and gives off an indisputable sense of chic. Lightweight yarns work for that transitional dress code, while pure cashmere knits warm us up through the winter months. How to style it? Think of your cashmere piece as your wardrobe’s blank canvas. A neutral knit from Charli or 360 Cashmere works just as well when layered with precision tailoring, a slinky evening dress, or off-duty denim. Look out for loose fitting styles that give off an effortless ease, but can be elevated when given a hit of colour and a talking-point accessory. Cult-buy labels Chinti & Parker, Madeleine Thompson and Jumper 1234 are re-imagining your tried-and-tested cashmere looks. With their contemporary renditions and retro-inspired looks come a playful sense of humour. Patch-work motifs, attitudinal slogans and bold colour-ways combine to create statement-making styles that deserve a double take. Find oversized v-neck cardigans, slim fitting striped sweaters and turtle neck jumpers that pack a style punch. For outfit options, the same rules apply: casual denim adds instant all-day wearability, while delicate floral dresses create a captivating juxtaposition.